Playing games such as Battlefield, FPS, MOBA, and other such games demands a high-end gaming mouse that provides handy buttons to get complete control on the game. The mouse should have a great design so that it does not pull the mood of the player down. Its wire should be long enough so that the game can easily adjust it as per his ease so that there are no hurdles when the fun is going on. Also, the wire should be braided because wires with the plastic coating are not good; they may stick to the surface. The Orion Nova X9 Professional PC gaming mouse is one such mouse that gives you all these features at an affordable price. When you have the Orion Nova X9 gaming mouse plugged-in, you don’t need to install any other software to configure it before you can actually use it. Just plug it and within a few moments, it gets ready to use. This plug and play feature are perfect for those gamers who are not much technical and hate working around any software to just use a mouse. 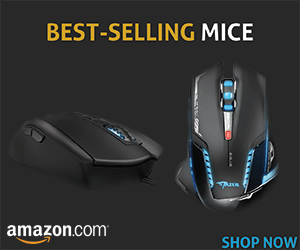 It has 8 buttons that are placed perfectly on top and side of the mouse giving a gamer the required space to use these buttons without any confusion. On the top, it has the left button, the right button, the scroll, and the two DPI adjustment buttons. Use the plus button to increase the DPI and when you hit the minus button, DPI gets down. The rests of the buttons are on its side. These buttons are perfectly labeled for easy identification. Moreover, the blue led light on these buttons and at the top of the mouse makes these buttons stand alone. 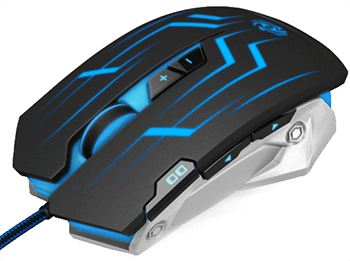 The Orion Nova X9 gaming mouse has rubberized surface due to which if offers sweat free experience. Whether you play for an hour or keep playing for many hours, you will not feel uncomfortable because of the sweat. The sweat free design gives you a perfect grip. But if your hands are small, you may not find this gaming mouse a good one; however, if you want to give a try to a nice mouse, then try it. The Orion Nova X9 is a two-in-one mouse, which means it is for both left handed players and right handed players. No need to buy two different mice; just invest in Orion Nova X9 and it will be ready to be used by any player.